Minister of State for Natural Resources and Gaeltacht Affairs, Sean Kyne TD, visited the Geological Survey of Ireland (GSI) on Tuesday, 6th September. Koen Verbruggen (Director, GSI) introduced the Minister to the staff who briefed Minister Kyne on the diverse range of GSI projects. Andrew Gaynor delivered an overview of Geoscience Ireland (GI) announcing 132 net new jobs have been created by the 28 GI Member Companies since January 2016 (read more). 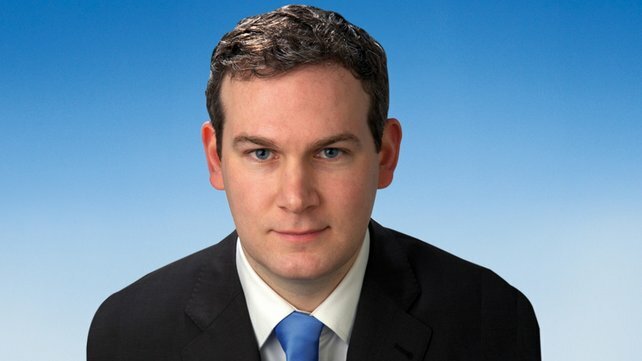 Minister Kyne, Fine Gael TD for Galway West and Mayo South, was first elected to Dáil Éireann in 2011. He studied at NUI Galway & UCD attaining a primary degree and Master’s degree, respectively, in Agricultural Science. In May this year, he was appointed Minister of State for Natural Resources and Gaeltacht Affairs which spans the Department of Communications, Climate Action & Environment and the Department of Arts, Heritage, Regional, Rural & Gaeltacht Affairs.